ESTHER Ireland is governed by the Steering Group which meets at least four times a year. The Steering Group provides oversight on funding decisions and strategic direction. It approves ESTHER Ireland strategy and plans, new ESTHER partnerships and allocation of the Start-Up Grants. The day-to-day functions of ESTHER Ireland are carried out by the Secretariat. Members of the ESTHER Steering Group are listed below, along with a short bio. Dr. Weakliam works as a Consultant in Public Health Medicine in the HSE. Before joining the HSE in 2007 he worked for 18 years on improving health in developing countries, including 12 years spent in Africa and Asia. 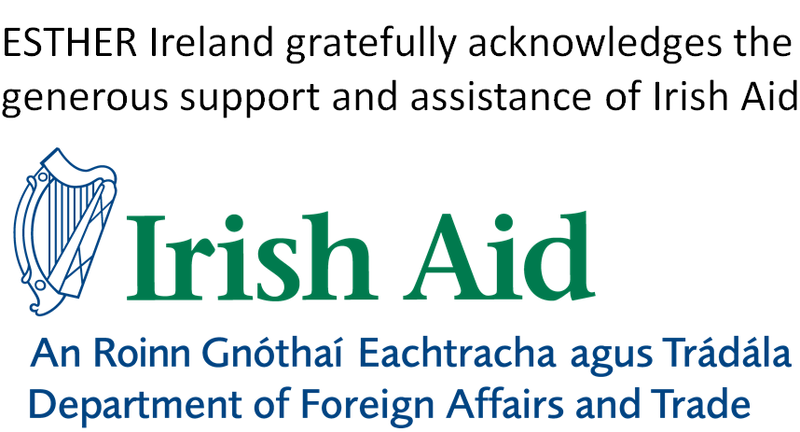 From 2003-2007 he was Health Adviser for Irish Aid, the Government’s overseas aid programme. David now leads the HSE Global Health Support Programme which he helped establish in 2010. He lectures on a range of global health topics, is Board Chairman of the relief and development agency Tearfund as well as the current Chair of the Executive Committee of the Irish Forum for Global Health. Dr. O’Donovan is Senior Lecturer in Social & Preventive Medicine at NUI Galway and Director of Public Health in the Health Service Executive (HSE West, Galway). He is a Project Leader in the Health Promotion Research Centre. He coordinates the Public Health content of the undergraduate medical curriculum and is director of the postgraduate Diploma/Masters programme in Health Services Research. With colleagues in Bacteriology he coordinates the undergraduate course in Global Health and Development. He qualified in medicine in NUI Galway and in Public Health at the London School of Hygiene & Tropical Medicine. Diarmuid was one of the founders of the Irish Forum for Global Health (IFGH) and is currently a member of the IFGH Executive Committee. He trained in General Practice and Public Health Medicine in England. He lived and worked in Africa for seven years. Dr. O’Driscoll is Consultant Ear Nose and Throat Surgeon in the HSE Midlands, a course director at RCSI, and also a member of the College of Surgeons of East, Central, and Southern Africa. Since 2004, he has traveled regularly to Zambia to assist using his ENT expertise, as well as train health professionals. Dr. O’Driscoll’s projects in Zambia include the setting-up of a mobile ENT Clinic. Dr. Fahey is a senior medical doctor specialising in ophthalmology, and a public health consultant with 16 years experience working as a provider and commissioner of healthcare. He is also director of Quality, Safety, and Risk Management at the Adelaide and Meath Hospital incorporating the National Children’s Hospital (AMNCH) in Tallaght. Prof. McAuliffe is Professor of Health Systems at University College Dublin, Ireland. She has worked as a clinician, consultant and academic and lived in Ireland, UK, South Africa and Malawi, where she worked for Unicef and Irish Aid. Her research is on strengthening health systems in middle- and low- income countries, with a particular focus on the human resource crisis and maternal healthcare. In Ireland, she has also researched strategy and organizational change, and user involvement in health planning. Prof. McAuliffe has provided a wide range of consultancy support to governments, NGOs and professional healthcare bodies and has contributed to numerous strategy and policy documents in healthcare in both high- and low-income countries. 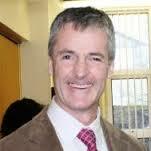 Vincent Maher is a development with the Department Foreign Affairs and Trade. He is an expert in the areas of governance, public financial management, and institutional capacity building. Vincent has 16 years progressive professional experience, including Policy Analysis, Monitoring & Evaluation and Technical Assistance positions in Sub Saharan Africa. In addition to academic qualifications, Vincent has undertaken specialist training in Public Financial Management, Procurement and Anti-Corruption. Dr. Meabh Ni Bhuinneain is a Consultant Obstetrician/Gynecologist at Mayo General Hospital and a lecturer at NUI Galway of Maternal & Reproductive Global Health / Medicine in the Resource Poor Setting. She gained her qualifications of BA of Medicine and BA of Surgery in University College Dublin in 1990 and also accomplished training programme for specialists of Obstetrician and Gynecologist in 2004. Additionally Meabh holds Post-graduate qualifications in Tropical Medicine, International Public Health (MSc), and Health Service Management.